No wife or girlfriend wants to ever think about hiring a Private Investigator in Las Vegas to investigate their cheating husband, boyfriend or spouses. It’s never easy to confront the fact that your husband or boyfriend might be cheating on you. Most women spend months ignoring all evidence that suggest their partner might be cheating. They hesitate to rattle the boat and don’t want to confront their partners because they fear they might be wrong. The only way to assuage your fears or confirm them is to investigate the matter thoroughly. That’s where we at Discreet Investigations come in. We have a team of experienced and skilled investigators who can help you in this difficult time. 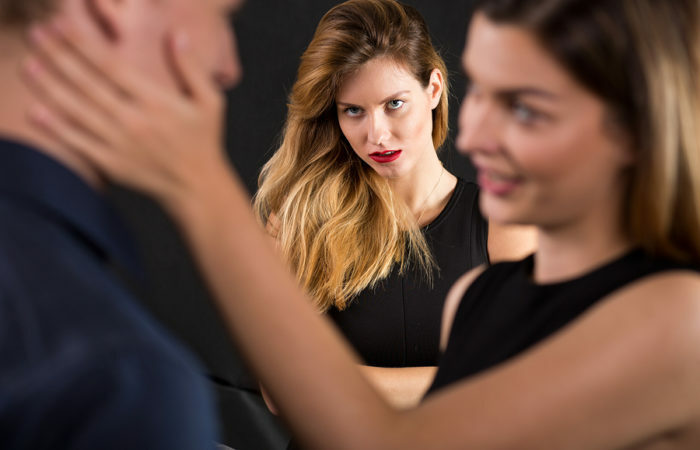 An outsider’s perspective – Our clients often doubt their instincts and question their judgment when they suspect their partners of infidelity. A private investigator offers an outside perspective on the matter. They’ll consider all the evidence with an unbiased eye and provide you with an honest opinion. Investigation – If the private investigator also believes there’s cause for concern, they’ll look into the matter carefully and plan an investigation strategy. They’ll look into your partner’s actions and movements carefully to determine if there’s any merit in your suspicions. Evidence – If your suspicions are proven to be true, you need solid evidence to back you up. This will allow you to confront your significant other on their infidelity and carry out a conversation that focuses on facts rather than speculation. The evidence will also help you in the long run if you need to fight a legal battle with your husband. The evidence will give you some leverage to negotiate if you do decide to separate with your spouse. Our experienced private investigators that work on cheating husbands or boyfriends in Las Vegas will provide detailed reports to help you with the crisis. They will also provide honest opinions and recommendations on how to proceed. Meeting – The first step is to meet with the client and get a good understanding of their situation. Our goal is to collect as much information as we can from you. Our cheating husband/boyfriend private investigator will ask you a series of carefully framed questions in order to get the best possible information. This will help them plan their investigation in the long-run. Planning – Once the private investigators have all the information they need, they’ll start planning for the task. They’ll look into the person being investigated, check their background, browse their social media activity, and look at other such factors in order to create a solid working plan. Investigation process – Once they have a solid plan, they’ll carry out the investigation. Our professionals will take meticulous notes, record everything they can, and take pictures and videos. This helps provide clear and solid evidence of infidelity to the clients. Reporting – During the investigation process, our private investigators will contact you and provide regular reports on their progress. This will help you remain calm during the investigation period. Regular updates will also help you compare what the investigator has found and what your significant other has told you. You can report any discrepancies to the investigator as that will help them build the case better. Final report – Once the private investigator has completed checking everything and collecting all evidence, they’ll prepare a thorough report and send it in your direction. You’ll receive the reports and evidence discreetly and securely so ensure the information doesn’t fall into the wrong hands. You can decide what you want to do with it in the long run. As you can see, we at Discreet Investigations have a set process that helps us provide the best evidence to our clients. If you suspect that your boyfriend or husband is cheating on you, call us today and get the evidence you need. Our private investigators for cheating husbands or boyfriends in Las Vegas are always willing to help.